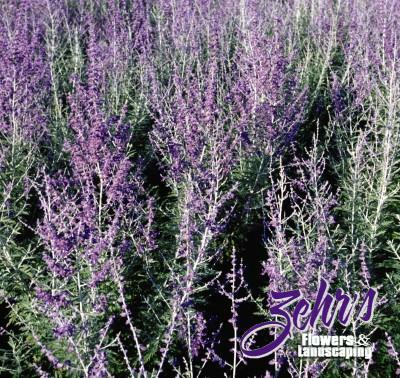 Shrubby, aromatic, gray-green sage with pale blue flowers in late summer through autumn. Well-drained soil. Perennial Plant of the Year for 1995.